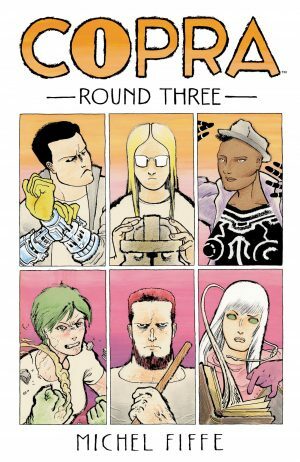 Round Four ended with Copra disintegrating in spectacular fashion. What’s left of the core organisation is near neglected until the halfway point as Michel Fiffe spotlights the departed cast, in two separate locations. 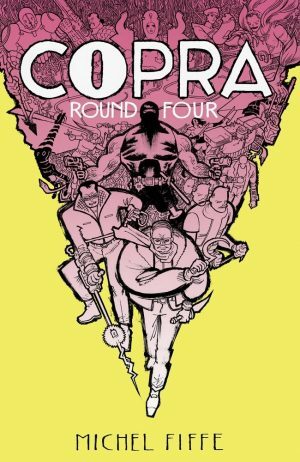 They’re carefully selected to enable the return of some characters not seen for a while, but there are no concessions in Copra for anyone picking up later collections as their introduction to the series (or those with poor memories). The first footnotes are halfway through, and then not many, so in the rush of action the lack of explanations may well leave some readers puzzled. 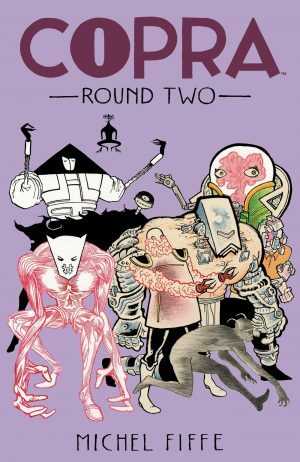 On the other hand, Fiffe is dealing with archetypes, and the reintroduced characters broadly fall within those parameters, so there’s no great need to know their pasts. As always, visual imagination and experimentation is paramount to Fiffe, who’s constantly finding new and interesting methods of defining his cast and their surroundings. He plays with the form of a page phenomenally well, and while it takes time to acclimatise to the muted colours, they’re also sometimes presented to exhilarating effect. Round Five is a gradual process of reunification, and it’s very cleverly organised. We start with Rac in the Anti-Zone meeting his ex-girlfriend Bianca, and they in turn run into Guthie with the journey continuing from there. What in other circumstances could be convenient coincidence is given the polish of logic (for those who’ve kept up with previous books), and by the end pretty well everyone is in the same place, some more willingly than others. However, while structurally sound, and the art striding forward, overall the remainder’s not quite as interesting as the previous two books. There’s strangeness for strangeness’ sake and ideas are introduced without being fully explored, such as the ethics of reinstating a dictator. 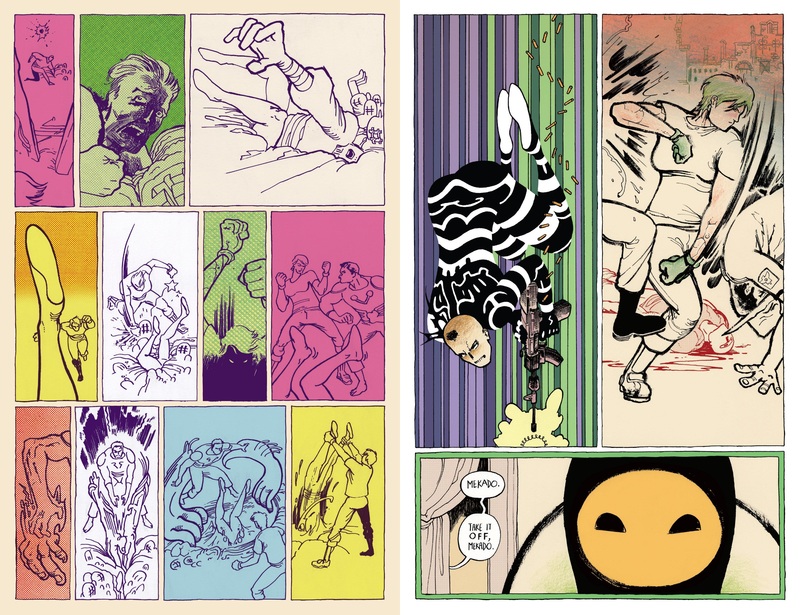 The book closes with Fiffe’s take on the Punisher, or Castillo as he is in Copra’s world. It’s the highlight of the collection. Castillo has the same war on crime as the Punisher, but is more introspective and given a fantastic look with a flattened nose and a pudding bowl haircut. It’s not the only artistic highlight. On the face of it this is a simpler story than the remainder of the book, laid out six equal sized panels to the page, but there are some great pictures within that, silhouettes that are near enough pictograms, and the main action set piece almost entirely without words. 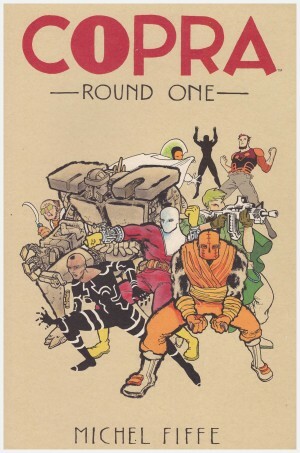 Again, though, unless you’ve kept up with Copra the ending will make no sense, and that’s a shame. 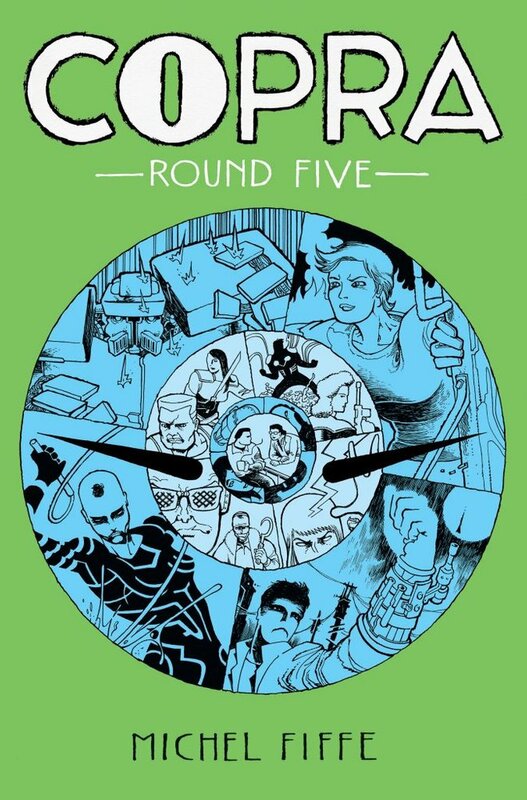 Round Five looks great, and is a better than average read, but confusing if you’ve not read any previous books. It’s not readily available in online bookshop listings, but can be purchased directly from publisher Bergen Street Press.